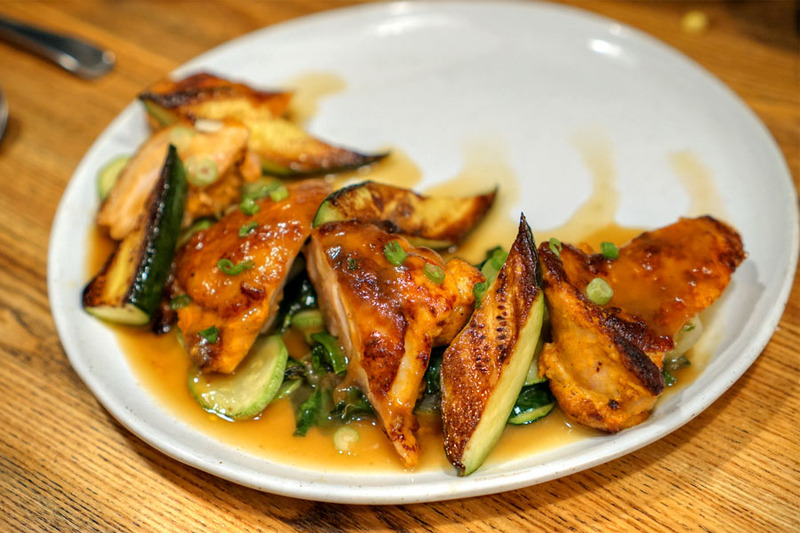 Orange County's Filipino cuisine scene got a huge boost with the recent debut of Irenia. Situated in Downtown Santa Ana, the restaurant opened in May and serves updated Philippine eats by Chef/Owner Ryan Garlitos. About the Chef: Garlitos was born in 1984 in Anaheim and spent his early years in Fullerton and then Yorba Linda, all the while being inspired by his grandmother Irenia's cooking (hence the restaurant's name). He attended Esperanza High School, and was a pre-med biology major at UC Irvine for a couple years. However, he eventually decided against that career path, and considered applying to business school before committing himself to a culinary career. After finishing culinary school, Garlitos wound up at Andrew Gruel's Slapfish truck in 2011, and in March 2012, began working at Carlos Salgado's game-changing Taco Maria, where he really developed himself food-wise. 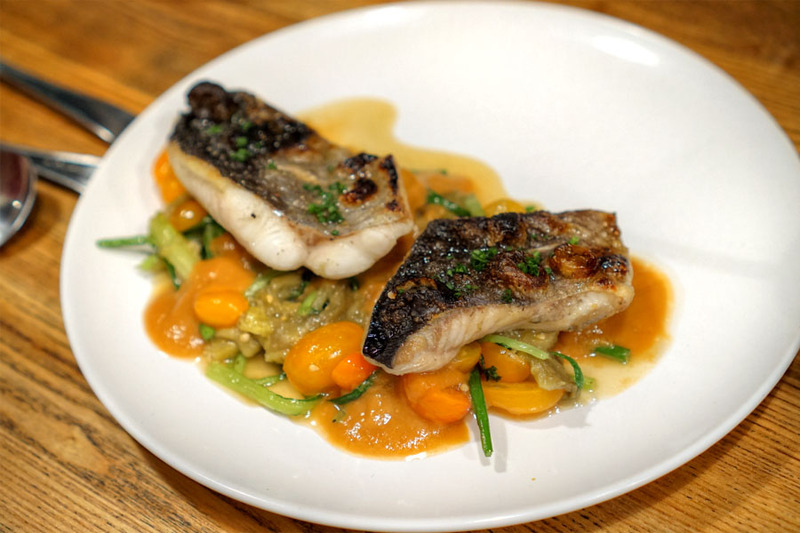 In March 2015, after receiving some positive feedback to his cooking from his friends, he decided to start Irenia Supper Club. The dinner series was largely a success, and because of that, Garlitos and company announced earlier this year that they'd be launching a permanent version of the roving restaurant. Joining the Chef here is General Manager and girlfriend Sarah Mosqueda (they met at Taco Maria) as well as Pastry Chef Ashley Guzman, a familiar face who comes to Irenia from Costa Mesa's SOCIAL, The North Left, and Playground. Irenia takes over the old North Left space, which has been brightened up and tidied. Irenia's menu is pleasantly compact, divided neatly into sections for snacks/small plates/entrees/desserts (we ran the gamut here and ordered one of everything). 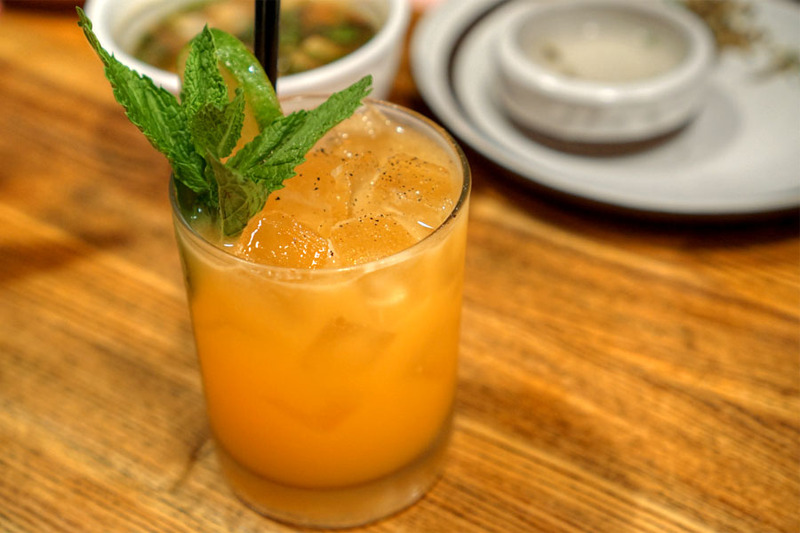 Drink-wise, you get an appealing array of Filipino-inflected cocktails and a smattering of beer. Click for larger versions. 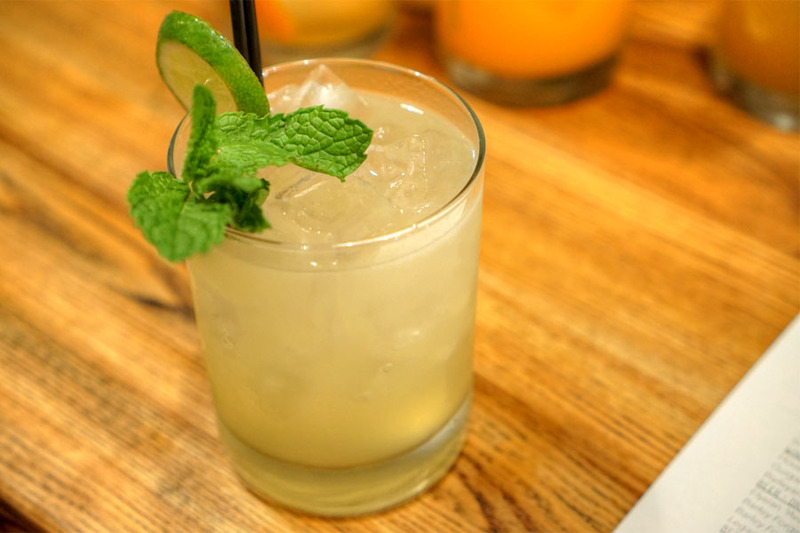 We ended up making our way down the entire cocktail list. Our first drink was zippy and refreshing, but with a slight astringent bent matched by the tartness of citrus and coolness of mint. 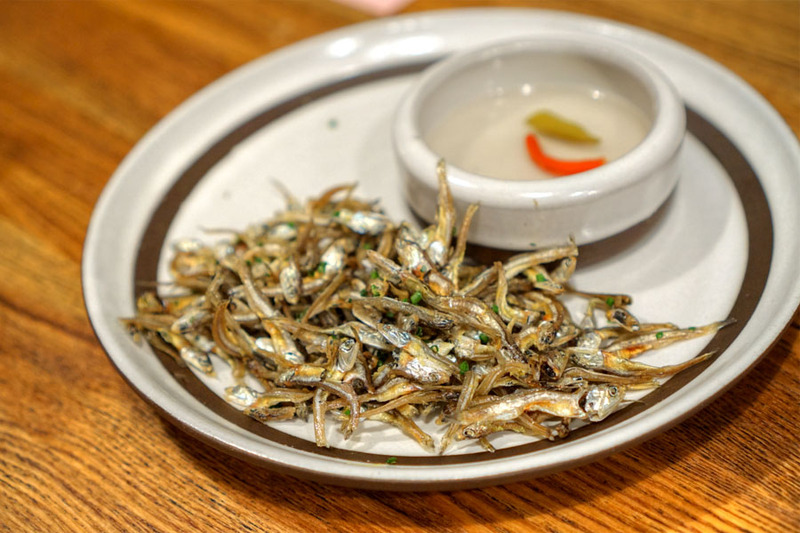 Anchovies were delightful, and surprisingly addicting with their salty, fishy crunch. Very reminiscent of the dried fish snacks I used to have as a kid, and even better with a dip in that sour-hot sukang may sili. 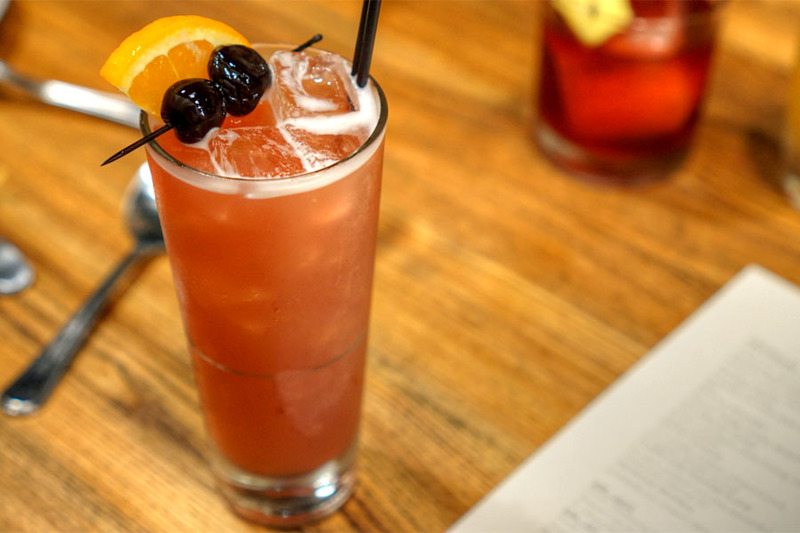 Irenia's take on the Old Fashioned hit the mark thanks to its rich, aromatic, bittersweet flavors and bright, citrusy bouquet. 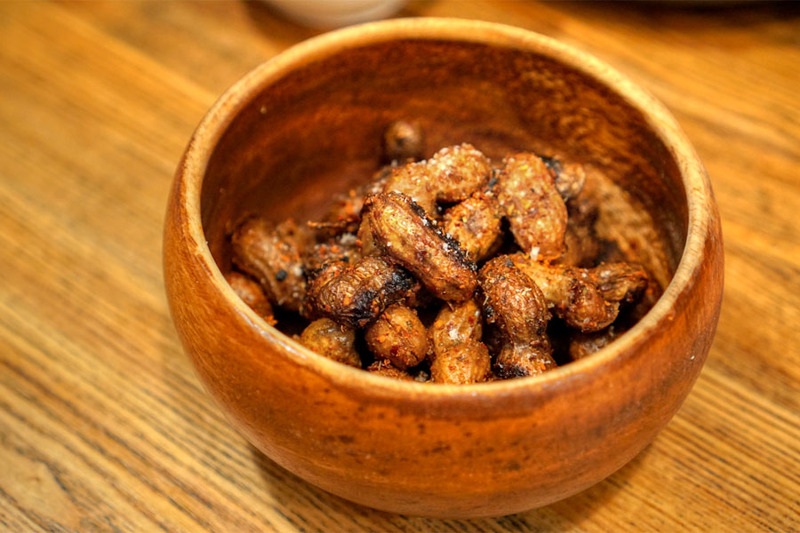 Peanuts were soft to the bite with a sweet-n-spicy-n-salty kick. Fun. 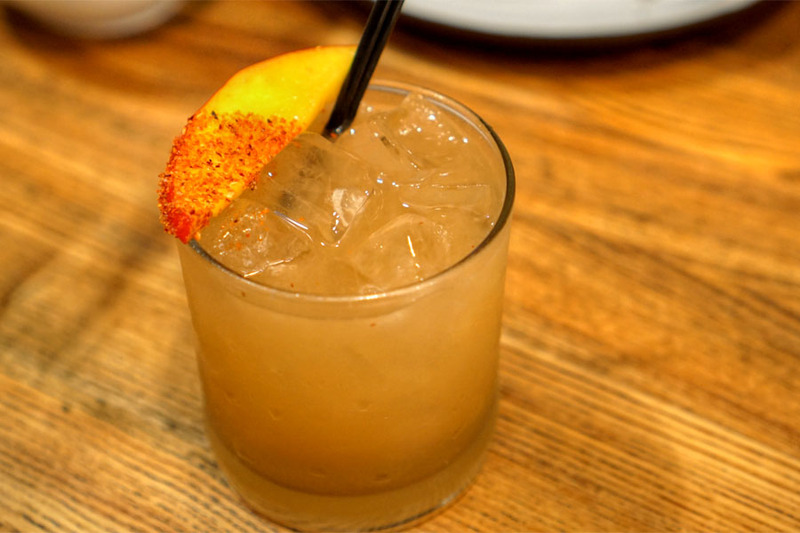 This version of a mule did a nice job showcasing the sweet, vegetal nature of carrot intermixed with the zing of five-spice, while the finish veered slightly bitter. The sinigang was a standout for me. 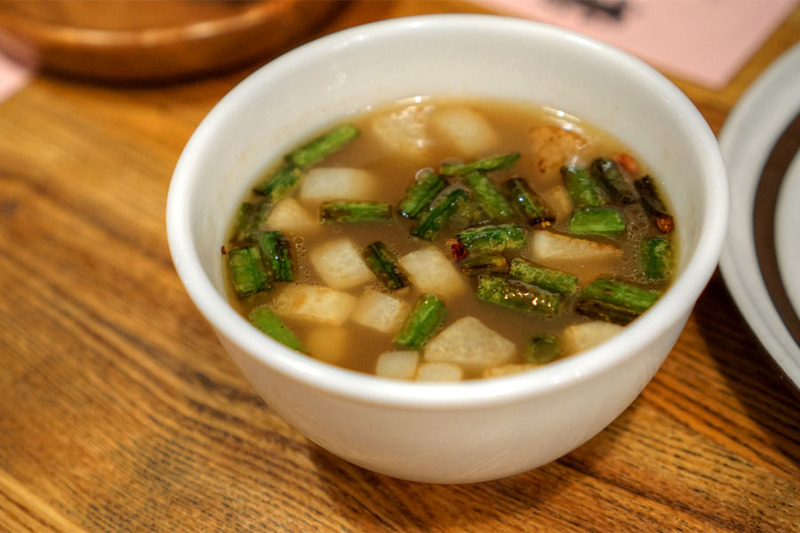 Big fan of the deep, tangy broth here and how that paired with charred long beans and chunks of radish especially. Cozy and comforting. 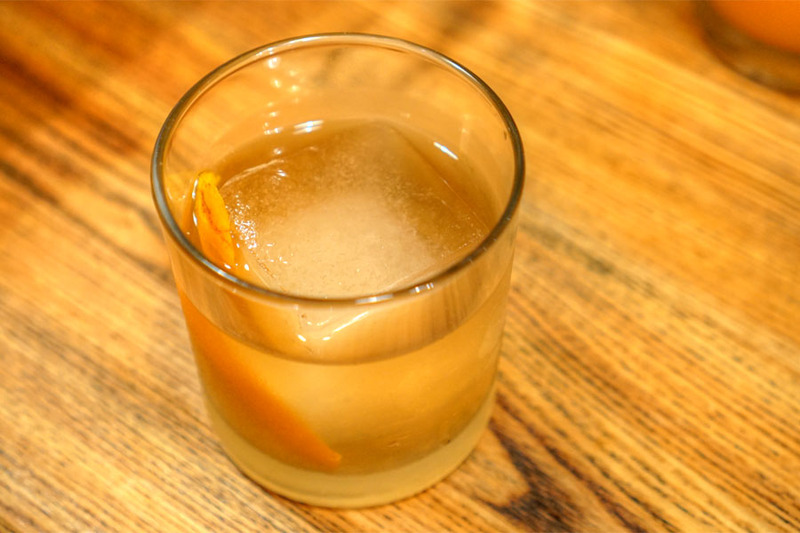 Our mezcal cocktail worked itself out, the strong smokiness of the spirit well-matched by rich fruit notes, tartness, and spice. 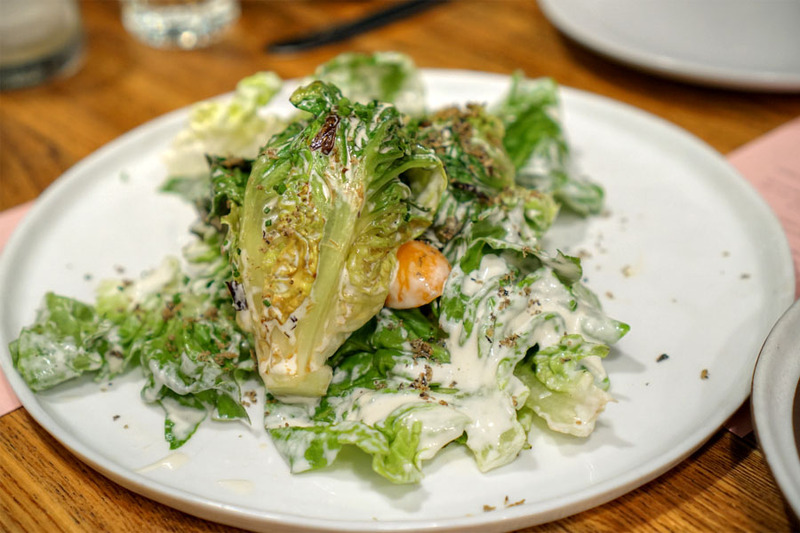 The salad was a pleasant surprise thanks to the creaminess and fishiness of that bangús tonnato, which just brought everything together. Great crunch on the lettuce, too. Irenia's variation on the Singapore Sling was nice enough: sweet, slightly tart, with some medicinal notes to even things out. 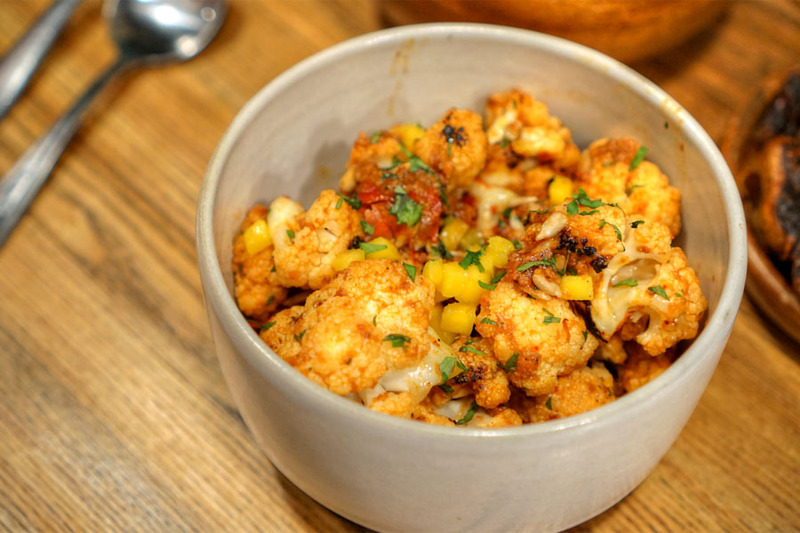 Cauliflower was a table favorite with its gratifying crunch and deep, heady, ferment-y flavors from the bagoóng. 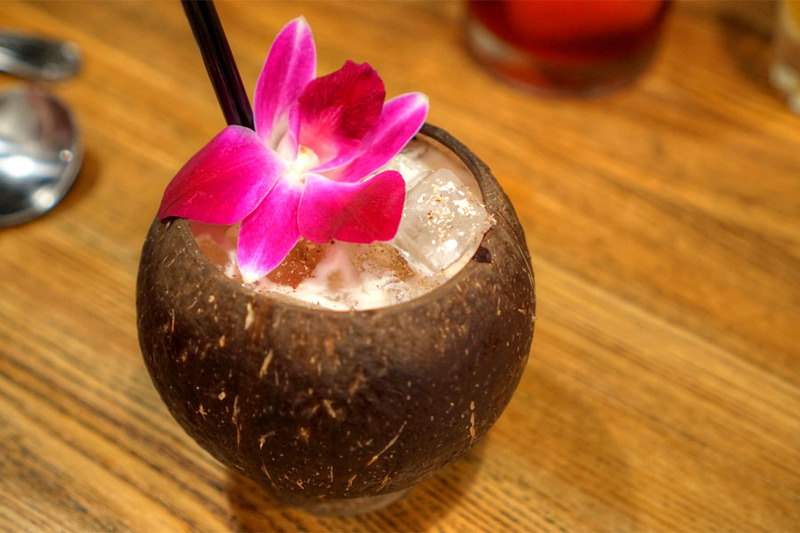 A version of the classic piña colada went down easy. I got loads of softly sweet coconut with a bit of tartness from the pineapple, a hint of nutmeg spice, and nary a trace of booziness. 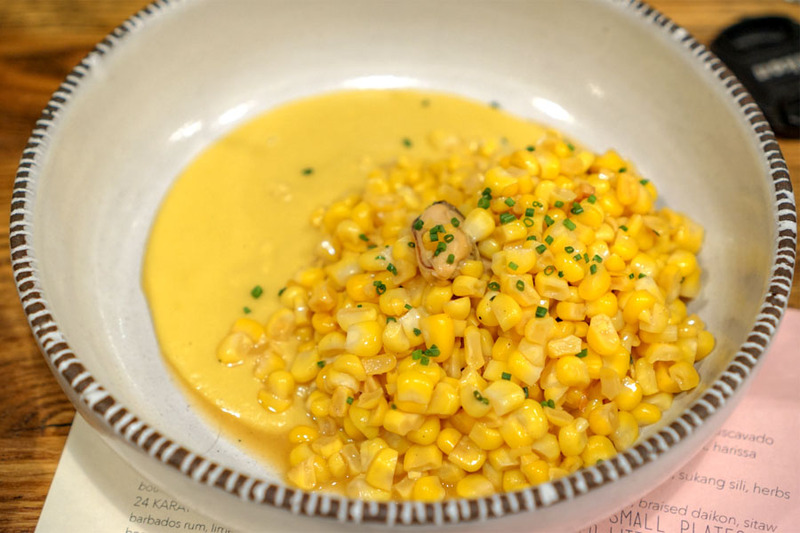 Corn had its intrinsic sweetness augmented with coconut milk, though fortunately it never became too overwhelming. Nice touch of countering tartness from the lime, and I found the brine of the mussels unexpected, but not unwelcomed. 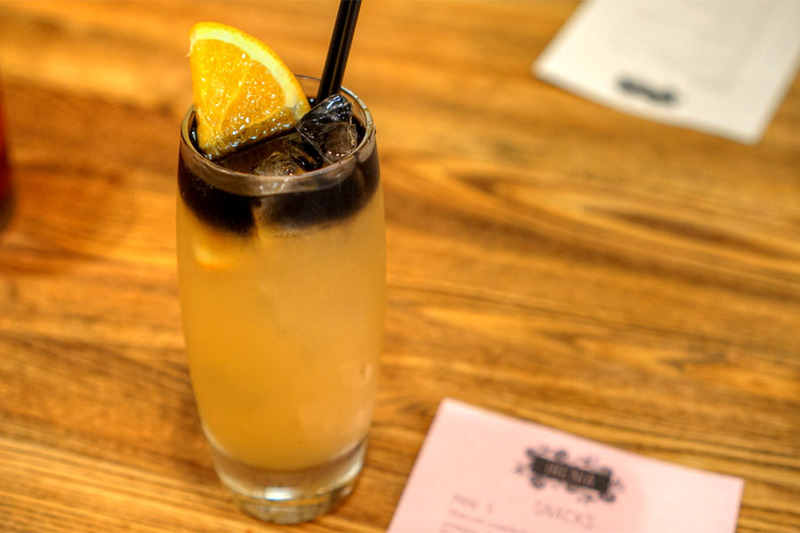 A riff on a New Orleans staple brought loads of tangy passion fruit to the fore, balanced against the potency and smoke of charcoal-infused 151. 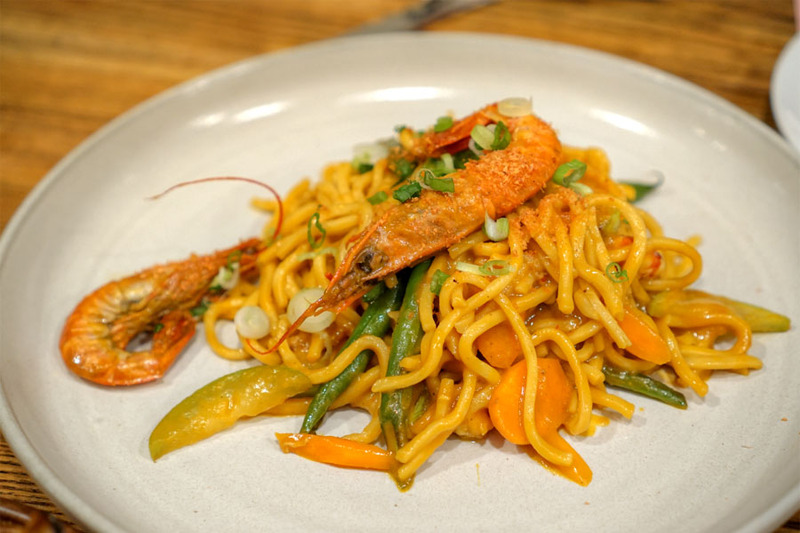 A dish of pancit canton had a lovely texture to the noodles and a depth from the shrimp that played well with the various veggies. I would've liked a touch more acidity here to brighten things up though. 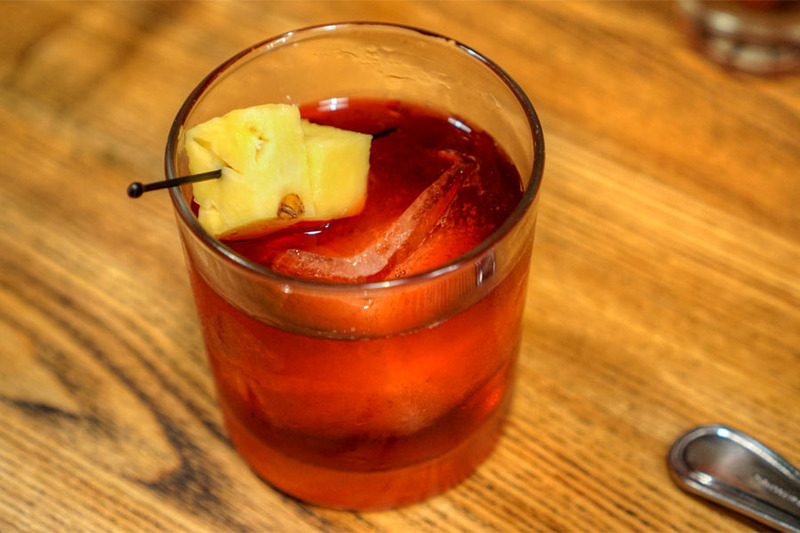 This Negroni variation was the most polarizing drink of the bunch. I didn't mind it, but some of my dining companions likened its bittersweet taste to cherry 'Tussin. Not surprisingly, Garlitos' adobo was a crowd pleaser. 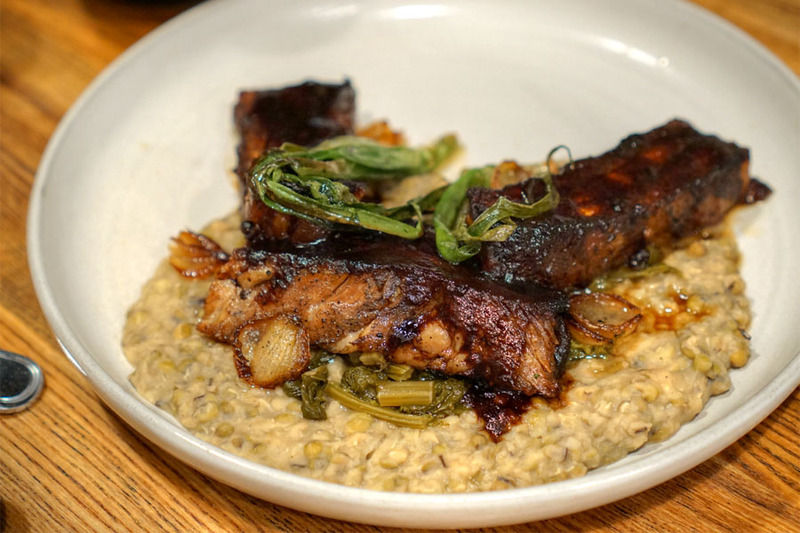 The belly came out about as tender as I've ever had it, and teeming with plenty of deep, dark, porky, umami-drenched flavors. Lovely crispness on the crust, too. Also key was the moderating effect of the ginisang monggo (mung beans), and I was a fan of the bitter greens and scallions as well. With the cocktails done with, we moved on to a couple beers that I'd brought (corkage was waived since we'd ordered so many drinks). 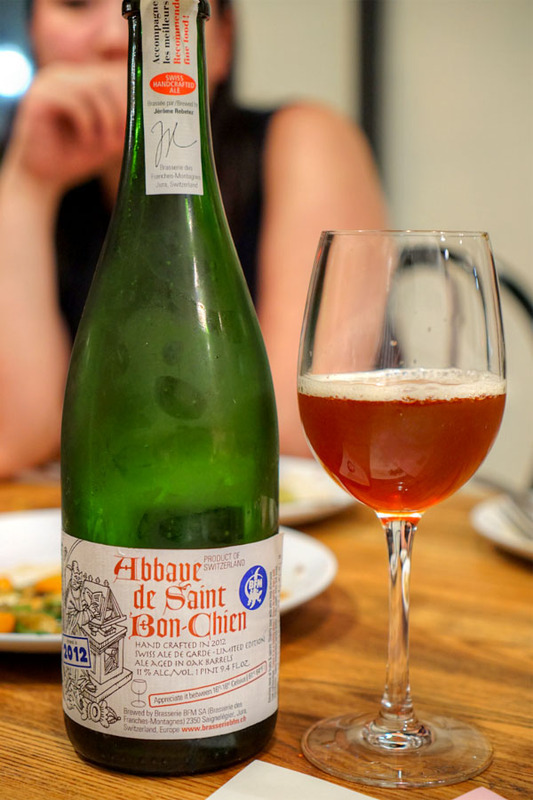 The 2012 Brasserie des Franches-Montagnes Abbaye De Saint Bon-Chien was a low-carbed, oak-aged Swiss bière de garde. On the nose I found it distinctly earthy, spicy, with a tanginess throughout. On the palate, think a bit funky, with a nice depth and maturity to it and an almost tomato-like tartness. Grilled catfish was one of the better preparations of the fish I've had. The actual paltat was soft and delicate, with a crisp skin to boot, and I appreciated the counterpoint provided by the patís-powered veggies. Our final savory brought out several pieces of richly-flavored chicken thigh that were indeed a joy to eat, especially with that gravy and the squash as an accompaniment. 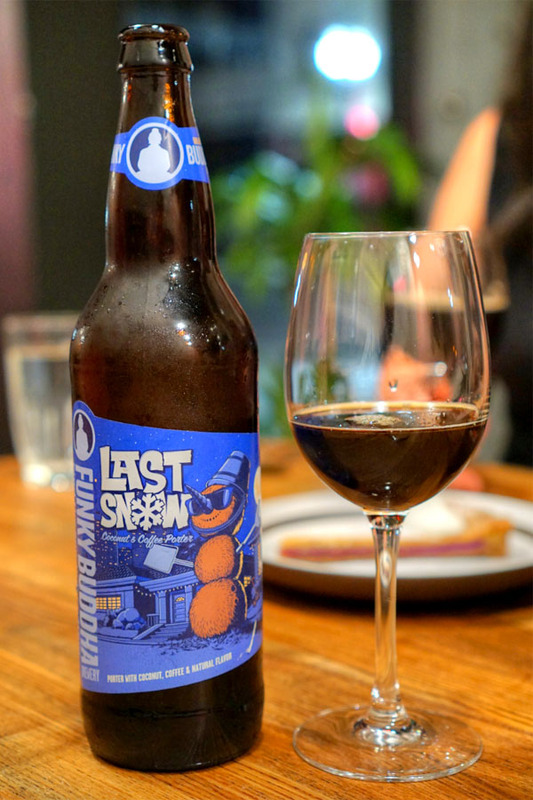 To go with dessert, we opened a bottle of 2016 Funky Buddha Last Snow, a porter enriched with coconut and coffee. It smelled of tangy coconut and malt, while the taste actually went quite smoky, with rich chocolate and more coconut, but not as much coffee as I was expecting. Dessert time. 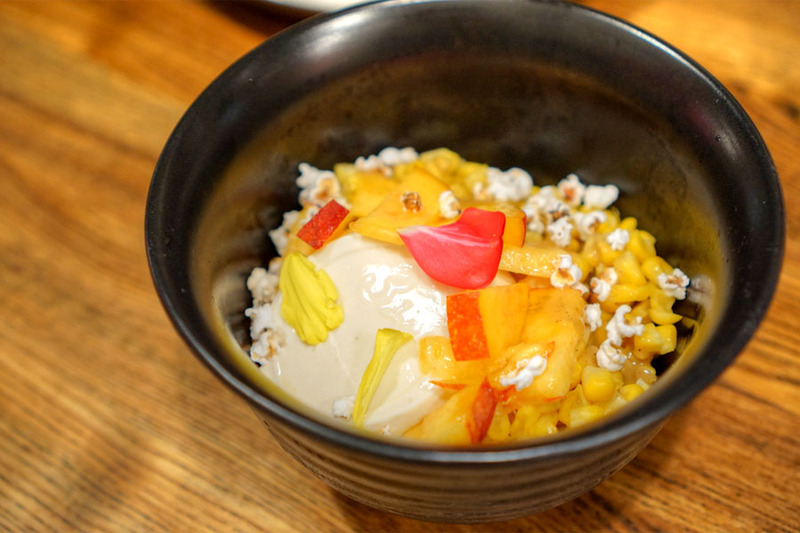 Here, the sweetness of corn was matched by the lushness of stone fruit and panna cotta while chunks of ice served as a rather bracing contrast. Unfortunately, the kitchen had run out of their dessert lumpia, but we were able to substitute this instead. 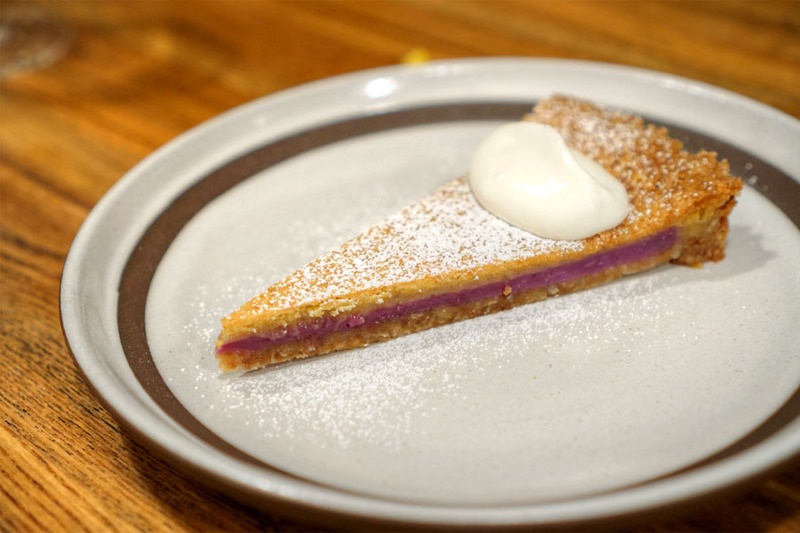 The pie was lovely--rich, sweet, dense--a presentation of ube flavors in a familiar sort of package. I was a bit saddened to see The North Left shutter, but Irenia looks to be a more than worthy replacement. Garlitos' plates were pretty much spot on tonight, and I really appreciated how the Chef was able to present the essence of Filipino cookery in a fun, finessed, relevant manner. It's an undeniable step forward for the cuisine, and a fantastic addition to Orange County's dining scene.